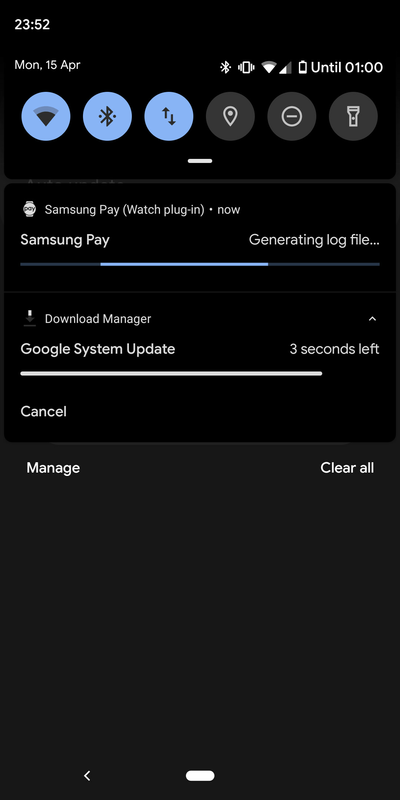 What started as a rumor last week has now become a certainty, as Google is now rolling out Android Q beta updates through Play Store. The main benefit is that you’ll now find Android updates much easier, or let’s say that they will find you faster and easier than before. A couple of Pixel users have taken to Reddit to confirm their Android Q beta updates have arrived via Google Play Store. Those with Pixel phones that run the previous Android Q beta build should start receiving notifications like the ones you usually get for an app update. Once the update is downloaded and installed, your phone will restart automatically. Aside from the fact that the whole process of find and downloading an update is quicker and easier, it’s also faster than previous updates. We doubt the new update method will become available to those using phones other than Pixels anytime soon, but we can safely assume that Google will reveal in-depth details about how it’s done in early May at Google I/O. If Google pushes for the standardization of the Android OS updates via Play Store, it could mean a more user-friendly method of updating your phone, but it certainly doesn’t guarantee that these important updates will be released faster and at the same time for everyone.